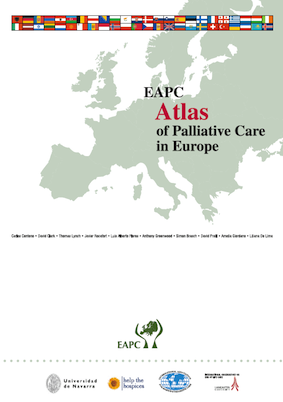 The EAPC Task Force on the Development of Palliative Care in Europe began in 2003, and since that time we have produced a number of publications describing the development and provision of hospice and palliative care in the European region, including a ‘European Atlas of Palliative Care’in 2007. Together with the Institute for Culture and Society of the University of Navarra, we are producing a Second Edition of the Atlas to be launched at the 13th Congress of the EAPC in Prague, Czech Republic (30 May-2 June 2013). My fellow members of the Task Force are: Professor Carlos Centeno (physician, Institute for Culture and Society, University of Navarra, Navarra, Spain), Professor David Clark (director, School of Interdisciplinary Studies, University of Glasgow, UK), Dr Javier Rocafort (physician, Laguna Hospital, Madrid, Spain) and Dr Oana Donea (physician, Association for Mobile Palliative Care Services, Bucharest, Romania). 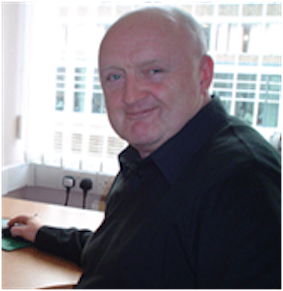 Throughout the project, we have worked in close collaboration with several international hospice and palliative care organisations; in particular, the International Observatory on End of Life Care, International Association of Hospice and Palliative Care, Help the Hospices and the University of Glasgow. In 2011, we embarked upon a new programme of work to refine our original methods and to produce updated information built on lessons learned from earlier task force studies and our experience within other related projects; for example, limitations associated with standardisation of terminology have been addressed (definitions of palliative care services may differ between countries and regions). We have revised the qualitative Eurobarometer Survey, which now contains new sections on essential medication for pain and symptom management, palliative care education and training initiatives, and the socio-cultural, ethical and moral issues surrounding palliative care; for example, palliative care as a fundamental human right. A second survey that we developed collects ‘factual’ data on palliative care service provision in each European country; the Facts Questionnaire is a quantitative survey addressed to a previously identified ‘key person’ – an ‘expert’ with extensive knowledge of the ‘reality’ of palliative care in their location. We have revised the Facts Questionnaire and the new format now differs significantly from the original version; for example, the revised version contains a ‘conceptual framework’ to be used as a point of reference for completing the questionnaire; this framework is based on different modes of provision of palliative care, and classified by place of attendance and level of intervention. There are also new sections on education and training, policy development, and the ‘vitality’ of palliative care in each country. We’re also delighted that the work of our task force will be featured in the European Journal of Palliative Care, issue 19.5, in September/October 2012. Click here to find out more about The EAPC Task Force on the Development of Palliative Care in Europe. Click here for more about the 13th Congress of the EAPC in Prague, Czech Republic (30 May–2 June 2013). This entry was posted in EAPC Taskforces/special projects and tagged Atlas of Palliative Care in Europe 2nd edition, Palliative care in Europe. Bookmark the permalink.